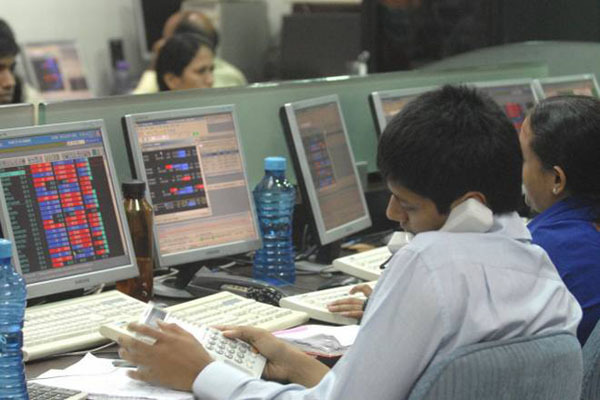 Mumbai(PTI): Extending its post-RBI policy rally, the BSE Sensex spurted 208 points in opening trade today on widespread buying, with banking, metal and realty sectors leading the gains. The benchmark had rallied 276 points yesterday after the RBI hiked the policy rate after a four-year pause on inflation concerns but maintained its neutral stance. The central bank also retained its GDP growth forecast for 2018-19 at 7.4 per cent on hopes of higher investments and consumption. The 30-share index was trading higher by 207.83 points, or 0.59 per cent at 35,386.71. All the sectoral indices were trading in the green. Realty, infrastructure, bankex, IT, capital goods, auto, FMCG, healthcare and oil & gas advanced up to 1.16 per cent. Also, the NSE Nifty jumped 72.95 points or 0.68 per cent to 10,757.60. Major gainers were ICICI Bank, Infosys, ONGC, M&M, Yes Bank, Tata Steel, Hindustan Unilever, Wipro, Axis Bank, Bajaj Auto, RIL, Asian Paints, L&T, Kotak Bank, Tata Motors and HDFC Ltd, gaining up to 1.66 per cent. Brokers said sustained buying by domestic institutional investors (DIIs) and a firm trend at other Asian bourses supported the market sentiment. DIIs had net bought shares worth Rs 712.31 crore, while foreign funds sold shares to the tune of Rs 81.40 crore yesterday, provisional exchange data showed. Asian shares rose following overnight gains on Wall Street, supported by strong economic fundamentals, while expectations that the European Central Bank could start to wind down its stimulus boosted the euro and global bond yields. Hong Kong’s Hang Seng was up 0.60 per cent while Japan’s Nikkei gained 0.96 per cent in early trade today. Shanghai Composite Index was up by 0.16 per cent. The US Dow Jones Industrial Average ended 1.40 per cent higher yesterday.